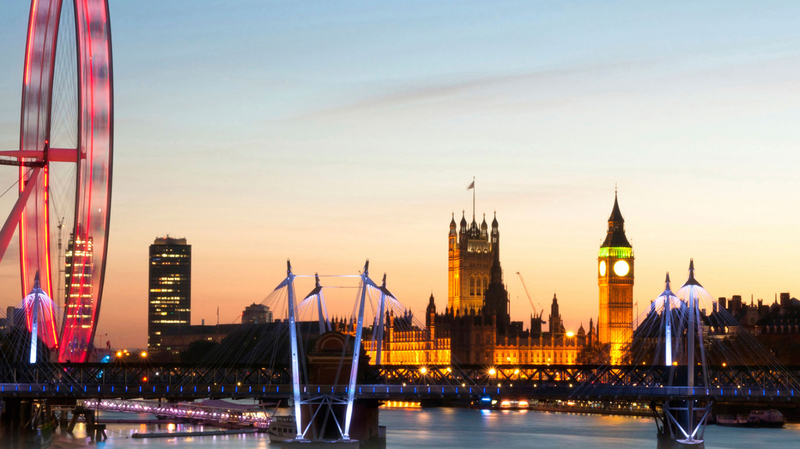 Search for the best flight prices from Manchester to London. Compare prices, book today and save money with Manchester Airport. National capital. Cosmopolitan melting pot. Home to 8 million people and 200 languages. London has it all, from the utmost pomp and circumstance to the most authentic clubbing scene. The best way to see London is to go out and stay out – and with thousands of pubs, clubs, bars and restaurants to choose from you could stay out for decades and still not see everything. London’s hotel scene is one of the most exclusive in the world, with its combination of famous names and creative new offerings. If your budget will stretch to a five-star stay, the choice is almost endless: hobnob with the aristocratic clientele at Claridge’s (49 Brook Street) in Mayfair, soak up the historic charm at The Ritz London (150 Piccadilly), or discover the incredible architecture at the restored St Pancras Renaissance (Euston Road). The swish borough of Kensington has a selection of exquisite mid-range options, including the London Premier Kensington (32-36 Hogarth Road) that’s set in a Georgian townhouse. Funky hostel Clink78 (78 King’s Cross Road) is a good choice for budget travellers. International designers mingle with artsy boutiques and vintage corner stores to make London a true shopping paradise. The area around Oxford and Regent Streets has all the usual favourites, including the world’s biggest Topshop (36-38 Great Castle Street) and luxe department store Selfridges (400 Oxford Street). Head to funky Spitalfields Market (Brushfield Street) for vintage clothing and antiques, or spot celebrities among the stalls at world-famous Portobello Road Market (Portobello Road) in Notting Hill. Harrods (87-135 Brompton Road) is a must for the quintessential London shopping experience; but mega-mall Westfield (Ariel Way) in Shepherd’s Bush is a better bet if you’re working to a tighter budget. Join a stylish supper club, get cosy in a centuries-old tavern, sample the best cuisine from around the world, or splash out on a three-Michelin-star meal – London’s foodie scene will deliver whatever your palate demands. If you like traditional British dishes served with a lavish dollop of history, book a table at Charles Dickens’ favourite restaurant, Rules (35 Maiden Lane). The scrumptious game dishes here are in complete contrast to the capital’s cutting-edge offerings, such as Heston Blumenthal’s Dinner (66 Knightsbridge) with its theatrical atmosphere and creative menus. Dining on a budget? Try Turkish cuisine at Ev Restaurant (97-99 Isabella Street), which is secreted beneath the railway arches near Waterloo Station. This historic competition between Oxford and Cambridge universities has been a British institution since 1829. Crowds line the riverbanks between Putney and Mortlake to cheer on their favourite crew. The world’s most famous flower show celebrated its 100th anniversary in 2013, and the displays just get bigger and better every year. With almost five hectares to explore, the event is a must for the green-fingered. Tickets for this international tennis tournament can be hard to come by, but if you do manage to get a seat on Centre Court you’re sure to be in good company. A star-studded crowd assembles annually to watch the crème de la crème of the tennis world compete for the coveted singles and doubles titles. A leading light in the classical music calendar, The BBC Proms comprises a packed summer of concerts featuring some of the world’s leading musicians. The eccentric ‘Last Night’ is the biggest event and attracts numerous Union-Flag-clad devotees. Europe’s biggest street party plays host to more than a million revellers for three days of colourful celebrations – expect flamboyant costumes, Caribbean music and a youthful crowd.